Always use the left panel when navigating pages in Kentico Admin. 1. Navigate to the level just above where the page should be placed. 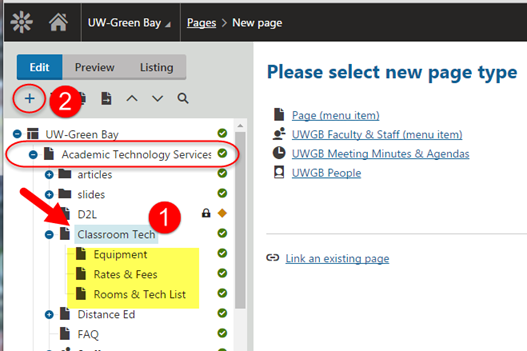 (For example, in the image below, "Classroom Tech" is selected within the Academic Technology Services site so that a new page will be created at the same level as Equipment, Rates & Fees, and Rooms & Tech List) . 2. Click on the + in the toolbar of icons. 4. Name the page. 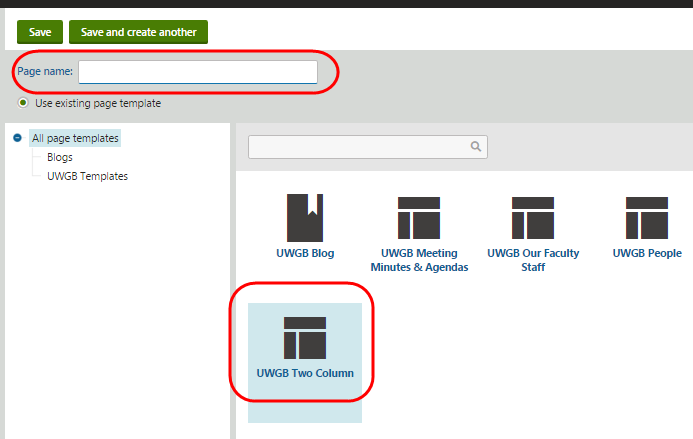 Usually you will select the UWGB Two Column. 5. A red X displays when a new page has never been published and is hidden from the live site.